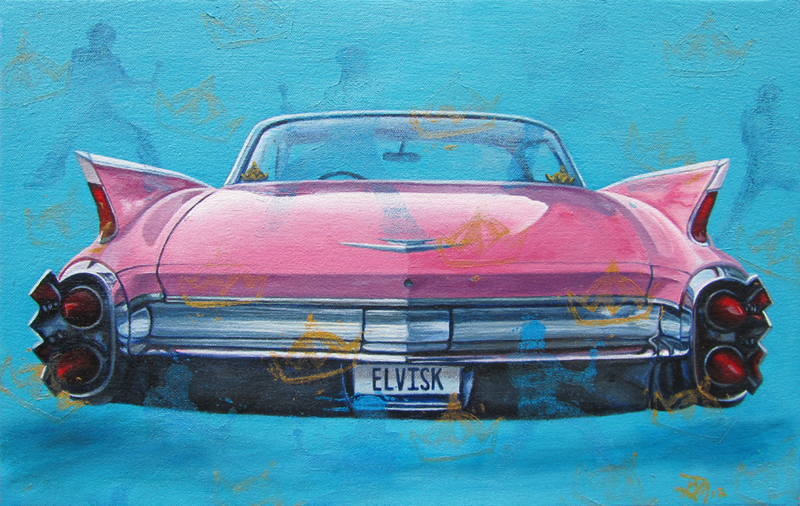 Sal was a short Italian guy (I think I had 3 inches on him at 5 ft 2) who only drove really big cars including this pink Cadillac with tricked out fins and a late 60’s two toned Lincoln. Sal was also an Elvis impersonator. I wish I had taken more pictures because the guy had the trunk of this car lined with satin and filled with Elvis collectables. He was into it. He was not the greatest mechanic, but he wasn’t a gouger either. I drove the dart with a broken tie rod for the first year and a half I had the car thinking that was just how they handled. Eventually, he was unreachable due to numerous hospital visits for some respiratory illness. I think well of him and I often wonder where that ol’ car might be now.